Can networking and singing really go together? Most business owners know that networking is a powerful strategy for growing your connections, finding collaborative opportunities and bringing clients into your business through referrals. People buy from people - and meeting someone face to face is a fast track way to get to know, like and trust them enough to do business together. But business networking can be stuffy and dull. Wouldn't it be nice to do something fun and exciting, and STILL make connections which will benefit your business? Meet with other members every week to establish better connections, faster. Showcase your expertise with a member takeover. Learn different skills from other members. Share knowledge and skills within the wider BC community. Grow in confidence with networking and communicating what your business does. Helping you to grow in confidence with your own voice. Giving you a weekly outlet for stress relief. Enabling increased oxygen intake for the body, helping you be more focused. Increasing your breath capacity and stamina. Benefitting your lung and heart health. Greatly increasing your ability and confidence in public speaking. Inspiring activity in the right side of the brain. Giving you a creative outlet for balanced mental health. 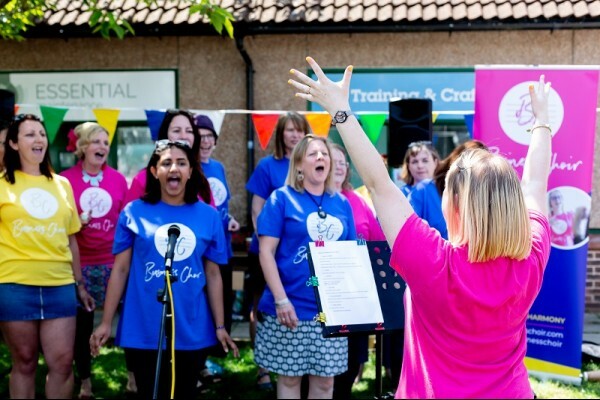 There are free taster sessions throughout the year, so you can experience Business Choir for yourself. Let's chat! External Website: More details about Business Choir Cheltenham and New Cheltenham Business Choir - Meet other business people and sing!